Almost a year ago, we published photos of the BMW i8 keyfob which was one of the most high-tech car keys on the market. At the BMW and consequently after, BMW has refrained from giving more information on the keyfob but we have learned at the time that besides the usual buttons for locking and unlocking, a high-res LCD display offers diverse vehicle information such as the remaining range and the levels of lithium-ion battery and tank display. 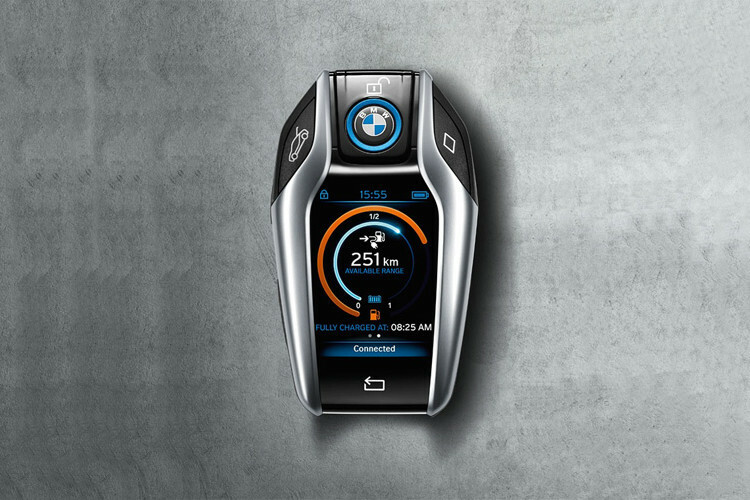 Even though the key was specific to the i8, the expectations were the future high-end BMWs will come with a similar key concept. And this brings us to the new 2016 BMW 7 Series. According to our sources, the cool gadget will be part of the offering for the new 7er and will join some other advanced technology developed by BMW for the flagship sedan. Not all details around the functionality of the key are known at the moment, but one leaked out. 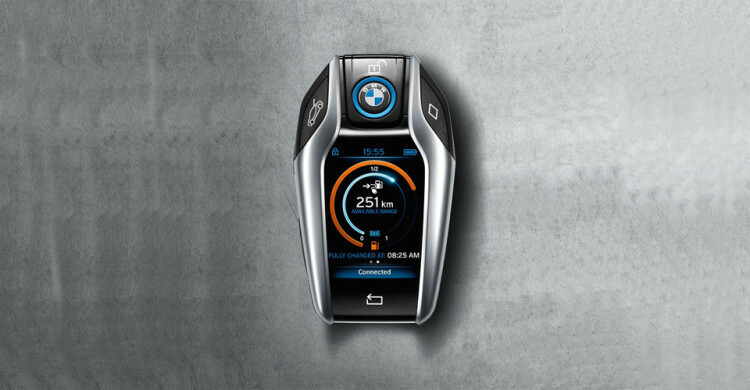 According to sources, the 7 Series keyfob will have a function to control the Parking Assistant package. Basically, you would be able to hold down a button and self park your car. The new BMW 7 Series will debut next fall at the Frankfurt Motor Show.